Sally Run: Thank you, LAUREN!!! A big thank you to Lauren for a wonderful clinic. There were huge smiles on everyone's faces as they finished their rides - so helpful and so fun - I am definitely going to have my camera ready next time to capture those grins! 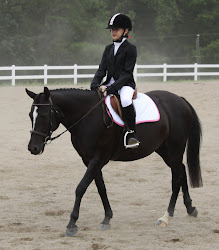 Thank you also to all of the riders, parents of riders, and auditors who came out to make this such a success! We had a wonderful 24 hours of weather and hopefully everyone can make it back home before the snow starts again this evening. I think if I heard one common theme in the rides, it was GO - like your hair's on fire!! So, Forward, Onward, Upward!! Happy Holidays, everyone! !